Write what you know. That’s what I always tell new writers. How you weave that knowledge into a story is, of course, up to you. 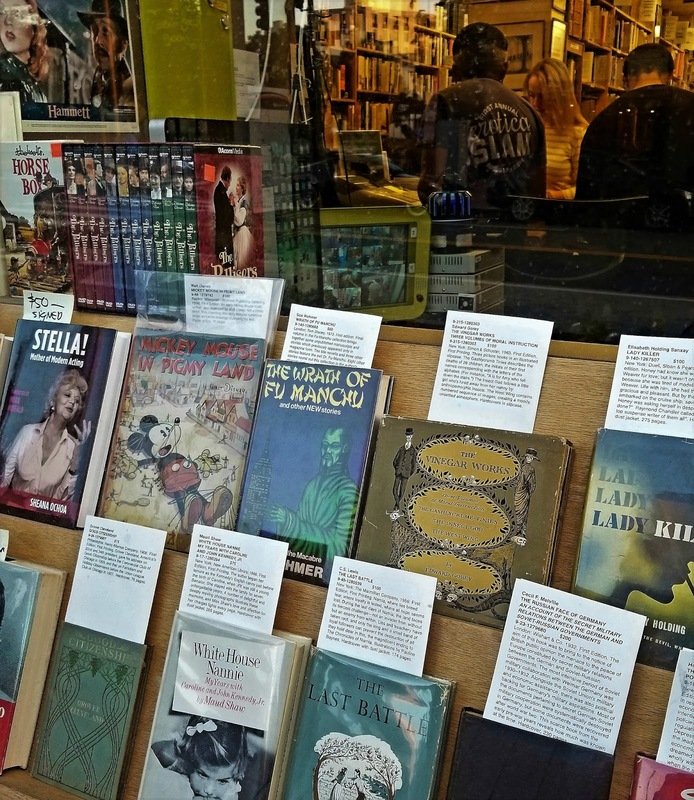 Whether written in first, second or third person … fiction, fantasy, memoir or other creative nonfiction, staying true to write what you know rarely disappoints. 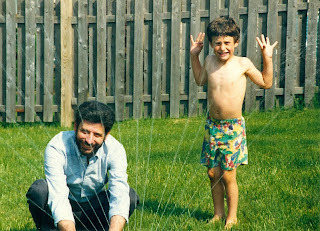 Today my husband, John M. Cavalieri would have been seventy years old and our son Daniel turns thirty. John and I met when he was twenty-nine and I twenty-six. A lifetime ago yet the memory remains, cherished, a central moment of being. 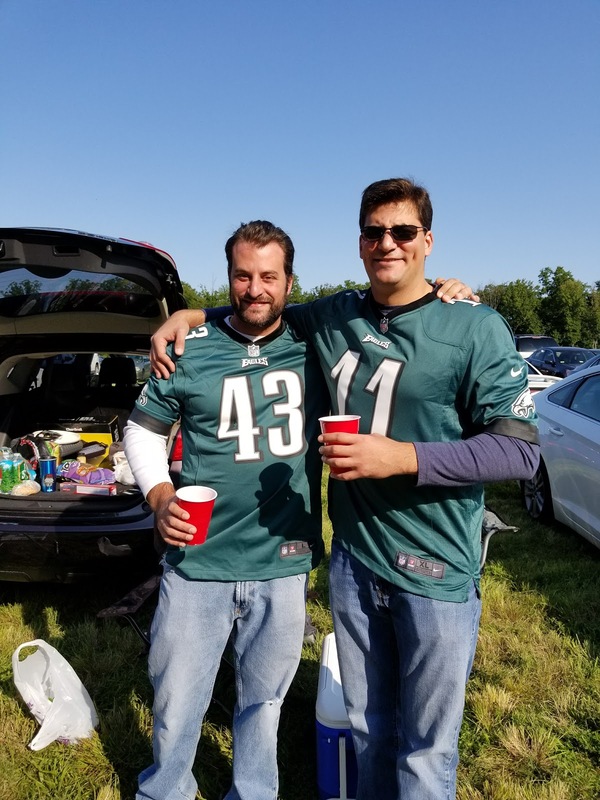 This weekend we went to Washington DC to celebrate Daniel's birthday and see an Eagles game. I spent four years of my life there―two going to college at American University and another two working jobs on Capitol Hill and at DuPont Circle. 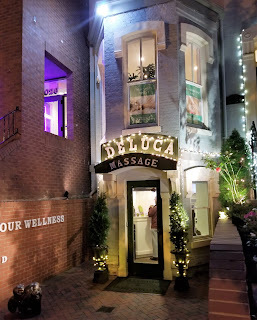 As Daniel, Alex and I wandered the streets around DuPont Circle Saturday night with its vintage brick and stone homes and shops, massage parlors and eateries backlit by the glow of street lights, I decided to stop into a bookstore. Thousands of books on shelves rose as high as the ceilings. It struck me, at first, that I had missed the boat. If only I had stayed in the city and not moved back to the suburbs outside Philadelphia where I grew up how different my life would be! As a writer, I still felt the pull of a city consumed by politics, art, excitement and diversity. They say it is dangerous to subscribe to the "grass is always greener" philosophy and so it is because it only leads to bitterness and regret. We can’t make over who we are. Even our destiny, some say, is written in the stars and mine was meeting a handsome stranger under white dogwood trees and bearing him two sons. If a writer needs one thing, anything, it is to trust in her instinct that she has something of worth to write. When that happens, the story becomes the universal story, one that is so honest others will identify with your voice, your journey. Write your story with heart and soul, believe in yourself, put aside your fears and write about the whole experience. Let your broken wings fly with the knowledge that some things can never be how you imagined they would be or ever be the same again. And so, I include this excerpt from Again in a Heartbeat about the birth of our son, Daniel, a scene that serves as a summing up―a moment of joy, of sadness, simplicity and innocence … writing what I know. The birth of our son on John’s fortieth birthday was a remarkable gift. As we gazed at Daniel’s sleeping face, I knew that ours was not to question why. Unlike Alex’s birth four years earlier, this time John and I were both more relaxed. My doctor called Daniel our “miracle baby” because we had conceived him right under the wire. The cancer, the surgery, the radiation and now the chemotherapy had made John sterile. Daniel arrived quiet and reserved, due probably to the epidural, unlike Alex who came out kicking and screaming after natural childbirth. John held Daniel in the delivery room and looked into his son’s eyes. “It’s like he knows me,” John said. For the first time in months, I think both of us felt full of life’s energy. John and I are good people I thought as I cradled our baby. Our boys need a father to put together a new toy and carry them on his shoulders. Waiting at home was the thief that was cancer, trying to rob my family of its heart and soul. It wanted the man who one morning before we headed out to work placed a blue velvet box on my dresser. That night when I opened it, there was an opal ring with pale pink and peach glints of light I had admired in a shop window the weekend before. Now we had another son born on his father’s birthday. Would Daniel and John celebrate together for years to come? Or would the thief deny them a future? John headed home from the hospital for his birthday party. He was greeted with drinks and raucous choruses of “Get that man a drink!” John shook hands and passed around cigars. Denise told me he was so exhausted, he quietly excused himself and went up to bed before the guests left. The next morning John arrived at the hospital with yellow roses. He looked better―in a tan sports coat and turquoise tinted sunglasses. He had a face like a true Roman. He was my husband.